Are you in need of a Eden Prairie workers’ compensation attorney? Call (952) 260-1312 or 855-354-2667 to speak with Jerry Sisk a top Minnesota Eden Prairie workers’ compensation injury attorney or fill out the contact form and the Law Office of Thomas Mottaz will contact you immediately. It’s free with no obligation. Let the best Minnesota workers compensation injury attorneys help you. Workers’ compensation is a no-fault system designed to provide benefits to employees injured as a result of their employment activities and to limit the liability of employers. Because it is a no-fault system, the employee does not need to prove negligence on the part of the employer to establish liability. It also means the employer cannot use negligence on the part of the employee as a defense to a claim. Work Accidents can happen at any time from slip and falls to repetitive trauma injuries. If the work activity or work injury contributed to your symptoms, you deserve to have them covered as a work-related injury. A Eden Prairie Minnesota workers’ compensation attorney can help. The first step in any workers’ compensation claim is to report an injury to your employer. The purpose of the requirement is to allow the employer the ability to render immediate medical attention in the hope of minimizing the seriousness of the injury and permitting the employer to investigate the claim soon after the injury. You have up to 30 days and in certain situations up to 180 days but you should report your injury immediately. If you have questions about reporting a Minnesota work injury to your employer call a Eden Prairie comp lawyer Jerry Sisk today to discuss your options. An employer has a responsibility to provide medical treatment that is reasonable and necessary to cure and relieve the employee from the effects of a work injury. To that end, the employer/ insurer’s liability includes the responsibility to provide whatever transportation assistance is reasonably required to allow the employee to obtain proper treatment. Following a work injury, the injured worker generally possesses the right to pick the treating doctor. It has long been the law that Minnesota employees are given great latitude both in choosing and changing physicians. It is important to get treatment right away following your work injury. 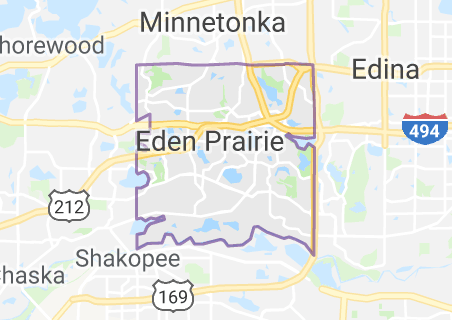 If you have been denied work comp benefits or the worker’s compensation insurer has refused to pay benefits a Eden Prairie work comp attorney can help file the necessary paperwork to get you benefits. Once the appropriate documents have been filed with the state a conference or hearing will be scheduled. The purpose of an administrative conference is to resolve issues regarding medical and rehabilitation services. Administrative conferences are typically scheduled for a half hour to an hour and are less formal than a hearing as no sworn testimony is given and a formal record is not kept. A hearing is the equivalent of “trial” in civil cases. However, it is nothing like you see on TV. Instead, hearings are conducted at OAH or other designated locations throughout the state. There is no jury but instead, a compensation judge that will consider all of the evidence. A hearing before the judges will be scheduled for either a half or a full day depending on the issues. The parties offer evidence and sworn testimony is given. The parties are bound to follow certain rules when conducting themselves at a hearing. Following the conclusion of the conference or hearing, the mediator or Judge will take the matter under advisement and issue a Decision and Order (DO) or a Findings and Order (FO), which can be appealed within 30 days. If it is an administrative decision (DO) any party can request a formal evidentiary hearing before a compensation judge. If it is a hearing it can be appealed to the Workers’ Compensation Court of Appeals. When to Contact a Eden Prairie Compensation Attorney? The Workers compensation law and the process can be difficult to understand. If you have been denied workers’ compensation benefits or need to discuss your Minnesota workers compensation case, contact a Eden Prairie workers’ compensation attorneys that help people with Minnesota work injuries anywhere in MN. Jerry Sisk is an expert disability workers’ compensation attorney with over 15 years of experience in work comp. Jerry Sisk and the Law Office of Thomas Mottaz are dedicated to making sure you get the disability benefits you are owed. They will be your advocate throughout the process. Call now at (952) 260-1312 or fill out the contact form and they will contact you immediately. We don’t set any time limits on the conference, and often times we are more than happy to meet with you as long as need be. We offer in-person as well as over-the-phone consultations.